What would commercial wines taste like without SO2? SO2 is a necessary preservative for wines in the US distribution system. With the exception of Beaujolais Nouveau, we don't know how long a wine has been sitting in uncooled ships, warehouses or stores. Often I write about a current release of a wine and learn that in other states they're still selling a wine two years older. There is an undercurrent of people who oppose SO2 addition to wine, but I will not join them because I'm a pragmatist. Last month I went to Domaine Chandon's 40th anniversary party. We drank a number of library wines with dinner, and all were disgorged specifically for the event with no added SO2. 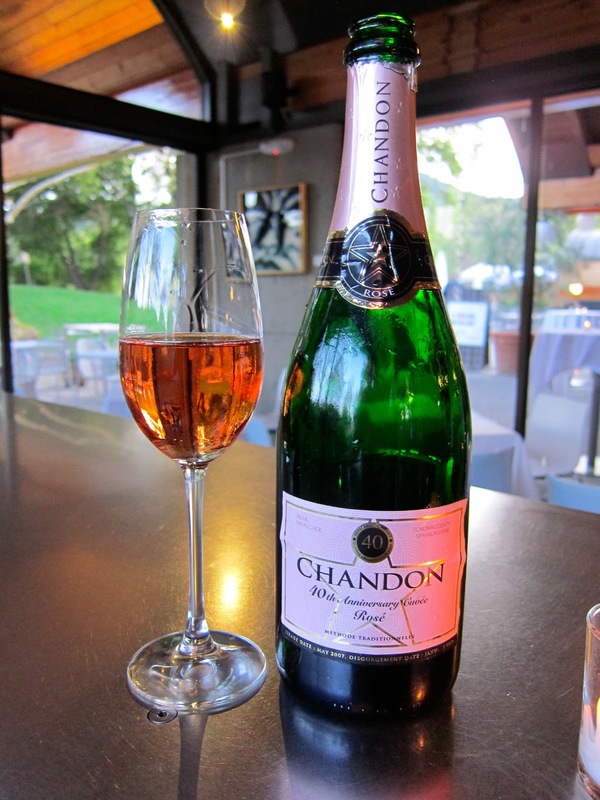 "Typically we add sulfur dioxide to knock back that oxidative quality," says Tom Tiburzi, Chandon sparkling winemaker. But in this case, Tiburzi had an audience of sommeliers, wine buyers, longtime Chandon fans and writers, and thought we would enjoy the taste of maturity. And we did, we really did. The sparkling wines which had spent years on the lees -- 40 years, in one case -- had a smoky quality, with a rich mouthfeel and sherry flavors. Tiburzi says this isn't something most people necessarily want in sparkling wine. Tiburzi's a microbiologist: in fact, that's how he got a job at Chandon with no wine experience 21 years ago. "Winemaking is just yeast. It's all microbiology," Tiburzi says. "They wanted somebody to look at wine as yeast." So while I use flavor descriptors like smoke-dried apples, Tiburzi talked of chemicals. "The worst thing about SO2 is that it will bind up some of those aldehydes," he said. Yet that's one reason most wineries want to use SO2. Aldehydes are a class of organic compounds that generally are strongly aromatic, good and bad. Vanillin, found in the oak barrels used to age wine, is an aldehyde. So is cinnamaldehyde, not common in wine but very nice in cologne or baked goods. But some aldehydes that can occur in wine aren't things you want, starting with the chemically simplest aldehyde, formaldehyde. There's also heptanal, described as "fatty, unpleasant" in the research paper "Influence of Sulfur Dioxide on the Formation of Aldehydes in White Wine" by Siss K. Frivik and Susan E. Ebeler. And others. So there's a risk. Let the wine sit long enough without sulfites, and the aldehydes take over. You don't get fresh fruit aromas and flavors. Maybe you get lucky and your wine ends up smelling like roses. Or maybe there's a touch of bad brett in the wine and you get a raging case of isovaleric acid, a main component of foot odor. But on this night at Chandon, these wines were delicious. And here's a problem for writers. At the party, we started with the wine in the photo, a special 40th anniversary rosé wine that spent 5 years on the lees. It's nonvintage, but the grapes are mostly from the '06 vintage, and all from Sonoma County. Insider's writing tip: normally I write tasting notes in present tense because that gives them more immediacy. Try this with any sentence. But I didn't do it here, because I can only write about how the wine tasted for me. It's for sale in the Chandon tasting room, and I loved it and would recommend it, but I don't know how it will taste for you. For us, it was disgorged without added SO2. Not for you. It won't be the same. It will last longer. But you might have to wait 5 years for it to taste like it tasted for me last month. And maybe it never will. We took a bottle of a different (but more expensive) Domaine Chandon sparkling wine with us to Yosemite for my wife's birthday two days later. With that wine, an ordinary commercial release, I noticed how closed the aromas were. The wine was fresh and fruity, but not more than that. This prompted me to open a bottle of Piedrasassi Central Coast Syrah that Sashi Moorman gave me more than a year ago, bottled without sulfites. He gave it to me at the winery and I took it directly to my apartment and put it in my wine refrigerator, and hadn't moved it since; perfect storage. That wine was fresh and lively, and we enjoyed the just-ripe red plum flavors with cheeseburgers. Nice wine. 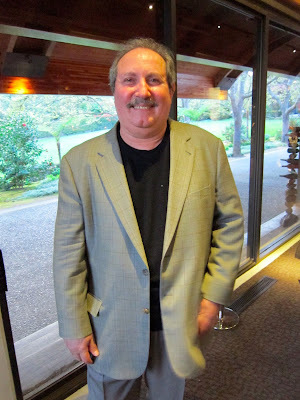 But I remember it being better at the winery with Moorman -- complex, aromatic, savory notes. I stored it for a year to see how it would develop. The last thing I expected was for it to get less complex, but that's what happened. Chemically, I cannot explain that. None of this changed my view that commercial wines in the US need SO2: our erratic, slow three-tier system isn't going to change to accommodate wine geeks. But if I were going to pick up wine from a winery, and drink it right away, maybe I'd like to enjoy the taste of aldehydes. And now I'm going to be haunted by the idea that a different experience is possible. A sparkling wine that's been aged, on the lees or not, for years and years is understandably going to have some acetalaldehydes. I wouldn't count that as a bad thing. A sparkling wine (or Champagne) that's got raging acetalaldehyde issues and is young, or recently disgorged, points to a more serious problem in the winery. That's a fine distinction to make. As far as your example with Sashi Moorman's wine, it probably tasted better because you were at the winery, tasting with the winemaker, in wine country. Nothing more, nothing less, especially since the wine was (according to you) treated about as properly as you can treat a wine after you received it.